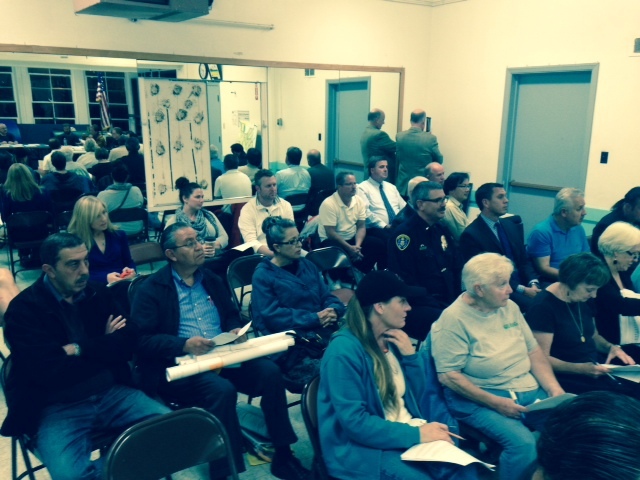 Nov. 7, 2013 meeting of the OB Planning Board addressed community concerns re alcohol sales by CVS. Following up on Judi Curry’s recent article, some issues were brought to the table by community members concerning the community’s abundance of bars and restaurants. My interest in this goes back to the heated CVS debates. I attended each Planning Board meeting about the CVS. The debates were HOT. People wanted a grocery store. People didn’t want more beer, wine, or liquor. I was never a speaker about this, I just listened. And at this point it is probably a good idea to emphasize — I definitely enjoy having a good time and drinking. I was just out for Taco Tuesday and margaritas last night. This is not a concern about alcohol — it is a policy concern and a community concern. At the time of the CVS debates, I recall discussion that the community was at or very near capacity for liquor license approval. The Dept. of Alcoholic Beverage Control discussed how it makes decisions about liquor licenses, and supposedly there is a maximum number an area can reach. Restrictions to the CVS’s liquor license were discussed at length by the OBPB and restrictions were put in place for CVS. Have the statistics for density of liquor licenses in the community changed? Has the OBPB’s role in liquor license approval changed?? Has the community changed it’s feelings about liquor stores and bars? Have we embraced the CVS as a part of the community? In answer to the last of the questions — my quick and unofficial poll is that people are enjoying the CVS quite a bit. My additional unofficial poll is that people also like the new breweries and winery. At the helm of any approvals or concerns about liquor licenses is the Dept. of Alcoholic Beverage Control. For OBceans and citizens everywhere – it is always good to be informed and to know what your policy makers are doing. And to know the various government entities and departments at the helm of various decisions. Editor: In fact, during the CVS debates, the OB Rag ran a poll, and nearly 4 out of 5 respondents had negative feelings about CVS opening up in OB. The hottest topic of the evening was the alcohol permit application by CVS Pharmacy which plans to move into the former Apple Tree Market on 4949 Santa Monica Avenue. After a presentation by the CVS rep and after numerous speakers asked the Board to deny the application, the Board decided to delay their decision and give CVS 90 days in which to present more information regarding alcohol and the neighborhood. I will state first that I moved out of OB about 2 years ago to purchase a home near SDSU. I’m in early 30’s and do purchase alcohol from stores, and I do go to bars occasionally. I was against CVS for the simple fact that 4 blocks away is Rite Aid. I have gone into the CVS a few times and its just another CVS, but smaller. Its not convenient, it’s over priced and they don’t have a great selection. I wanted salad dressing and i had about 2 choices and both were unhealthy and not very good. I still wish the CVS wasn’t there, but Sprouts had no interest in coming to that location which is unfortunate. Interestingly, Point Loman’s just protested the CVS planned for their neighborhood and succeeded in getting a grocery store instead. It’s too bad the town council negotiated (without community input)a ridiculous “community benefits” package that paved the way for our CVS and predictably really provided absolutely no benefits that any reasonable retailer wouldn’t also provide. Most of you are probably aware of the recent closure of the Fresh and Easy grocery store at Talbot/Canon and the initial proposal to put a CVS into that location. Pt Loma residents immediately responded with a resounding NO CVS and eventually the CVS plan was scrapped to be replaced with a small grocery, Jensens. This CVS would have been located to another, long term, well-loved local pharmacy. Loyal customer support to the Cabrillo Pharmacy fueled the fight but I have often wondered if that as well as the zoning restrictions were the deciding factor as to why Pt Loma was successful whereas OB was not. I will go to Rite Aid but CVS (the Starbucks of big box drug stores) only in an extreme emergency. If anyone can enlighten me I would appreciate it. Even though I live over the hill, I am in OB almost daily, the encroaching gentrification is frightening. It seems relevant to state that people TRIED to bring in a grocery store. Nobody would pay the rent or could afford the rent except CVS. Not Apple Tree — not Sprouts, not Trader Joes — nobody. Except CVS. Town Council proceeded with community benefits discussions when the only possible and feasible tenant to present itself was CVS. Still pissed at CVS for taking away parking at the next door laundromat. That lost my business. The rent wasn’t going to go down as long as the landlord knew CVS would pay to go in the space. Had the community convinced CVS not to rent the space the landlord would have had to find new tenants and may have had to lower the rent. And let’s not recount the pipedream/threat that the landlord would just develop the land into more condos or something, the community was done a disservice by the easy acceptance of CVS.